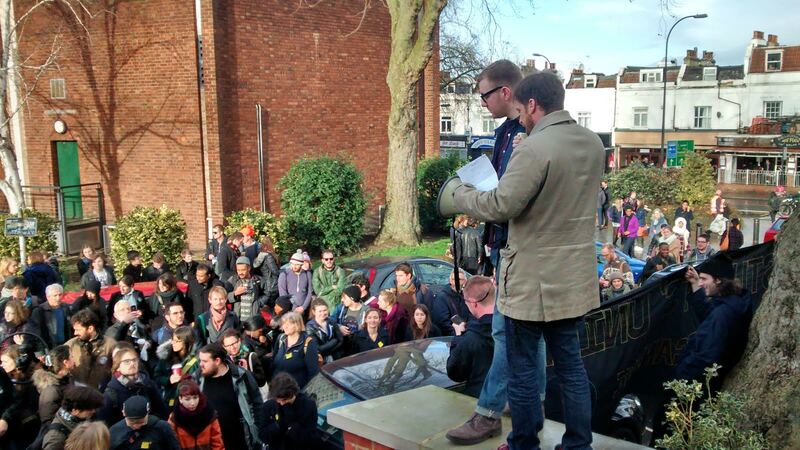 Last week our rally outside the Richard Hoggart Building drew around one hundred and fifty staff and students to hear speeches from UCU members and march with us to the Deptford Town Hall. 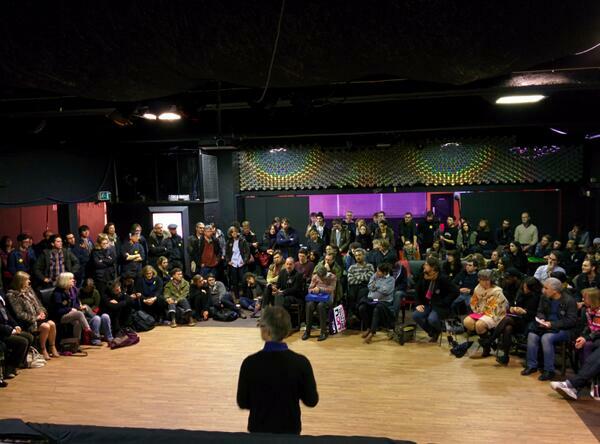 Today, after a quick rally in front of the college where Goldsmiths UCU President Tom Henri addressed a large crowd of staff and students, we hosted a fantastic open discussion in the Students’ Union. Led by officers of UCU and the Students’ Union, questions and statements from the floor put the strike in the wider context of the privatisation and marketisation of education, both here at Goldsmiths and nationally across the UK, and debated about the next stages of the struggle. 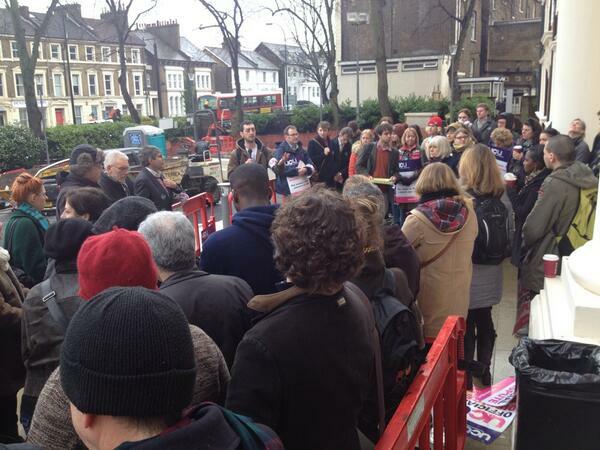 Attended by between 160 and 200 people, the atmosphere was brilliant and set the stage for taking the struggle further. 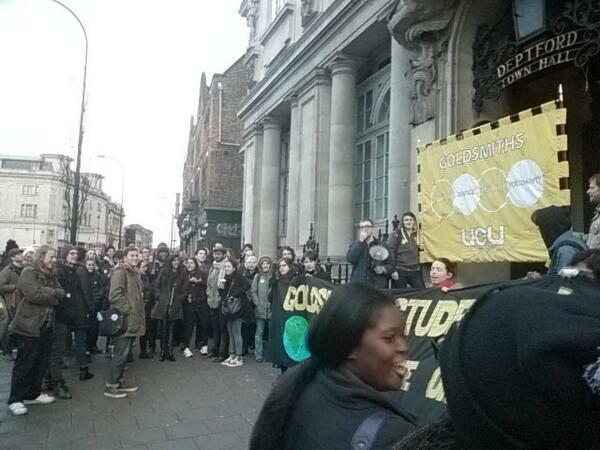 After the discussion we marched to Deptford Town Hall, where students chanted for the warden to come out and explain why he has taken a 9% raise while staff have only been offered a measly 1% – amounting to a cut in real terms of up to 16%. At 4pm we returned to work – but staff and students have given a clear message to management: the dispute is far from over, and we have the energy and the will to keep the pressure on.